Eureka Springs is one of America’s great mountain towns, so if you’re keen on exploring, this hotel offers treehouse accommodations on a wooded hillside right by Downtown. 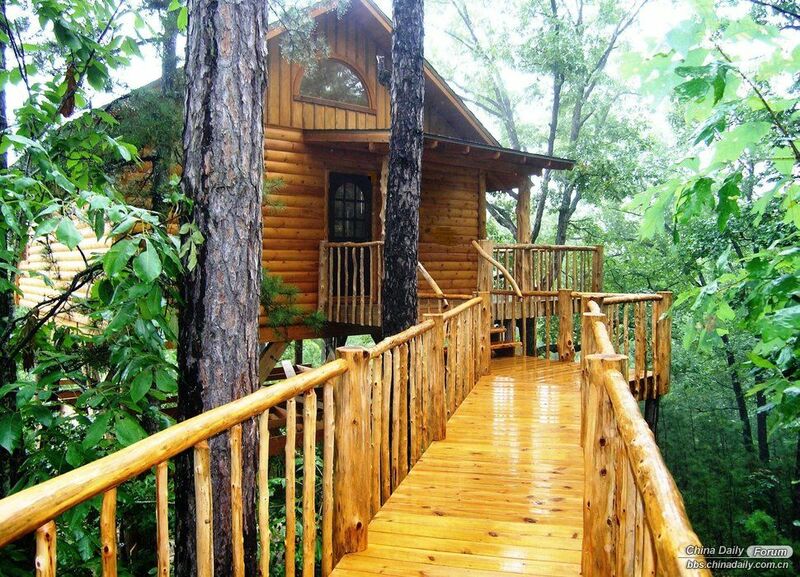 For a more secluded experience you can opt to stay in their “Hidden Forest” about a mile away. Either way you’re getting your own little slice of treetop luxury. There’s a jacuzzi completely encircled with windows, offering a 365-degree view of the towering pines of the Ozarks. You can’t get much better than a treehouse on a beach. This hotel is set high among the Tamarind trees on the coast of the South China Sea. You’re a short walk from the beach and from 5,000 acres of preserved Buddhist temples and pagodas. Not too expensive at all. 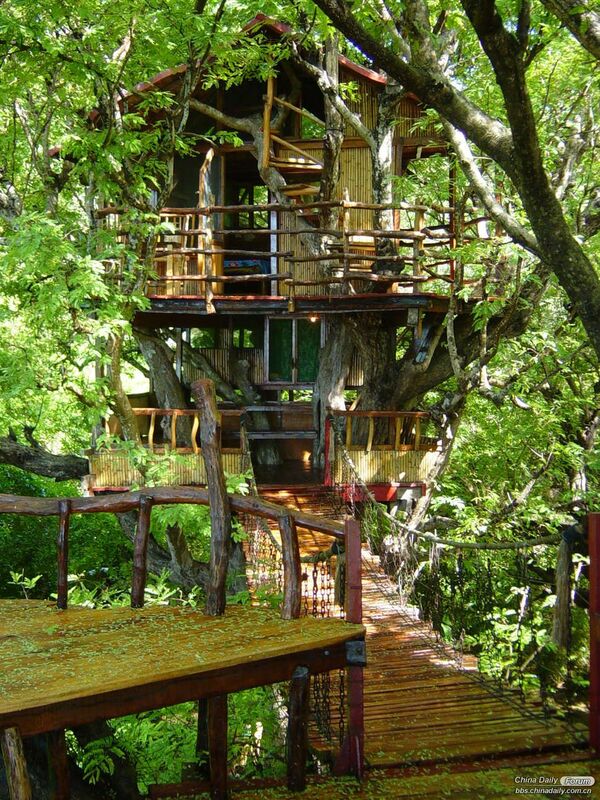 Though I have never been in a tree house, oddly enough that images of it always bring forth a sense of nostalgia. Yup, my hunch was right. In your previous life, you lived swinging from tree to tree as an ape. Your reincarnation into a lion was pre-ordained. Still if you hadn't grabbed the evolutionary opportunity then, you wouldn't have had a chance. No, I am sure I was the deity of Sylvan.